Regent Sevens Seas Cruises last weekend welcomed select trade partners, VIPs and media aboard Seven Seas Mariner during her turnaround at Sydney’s White Bay Cruise Terminal on Sunday 20 January 2019. Seven Seas Mariner was in port for the day following her inaugural circumnavigation of Australia and ahead of her deployment to Asia for the next 3–4 months, where she will operate intensive itineraries through Southeast Asia and Japan. The ultra-luxury Mariner is in resplendent condition, having undergone an extensive bow-to-stern refurbishment in April 2018 as part of a US$125 million fleet-wide enhancement program to bring the company’s entire fleet in line with Seven Seas Explorer, which launched in 2016. “Mariner was really a game changer when it launched because it was the first all-suite, all-verandah ship. Previously there had been verandah ships, but they had a mix of windows and verandahs. This is the first one that was only verandah and only suite,” said Steve Odell, SVP and MD, Asia Pacific, for Norwegian Cruise Line Holdings, parent company of Regent Seven Seas Cruises. Seven Seas Explorer is bound to arrive in Australia in 2020, where she will operate for three to four months. “We’ll be able to show this market exactly what luxury means,” Odell boasted. Luxury Regent style is a little bit different from everyone else. We are a totally all-inclusive product: we don’t charge for going to specialty restaurants, we don’t charge for shore excursions. There are free unlimited shore excursions in every port of call you go to. “Our definition of luxury is a totally inclusive experience. One where the only things you pay for are a spa, perhaps if you like fine wines, and the casino of course. But we don’t have hidden extras here,” he said. Not content with having already delivered what is billed as “The World’s Most Luxurious Cruise Ship”, Regent is already forward planning beyond Explorer. Seven Seas Splendor is scheduled for delivery in February 2020 and will be an exact model of Seven Seas Explorer. Further, a third ship in the Explorer series was announced earlier this month, for delivery in 2023. “We’ll be adding another 1,500 beds to the Regent fleet, bringing the fleet to six ships by 2023. If you are going to lead, you have to lead with expansion as well, so we are really excited about what that means. “This market has moved into third place in ranking order of Regent’s sales, and I am very confident that we can reach number two, because Aussies have a real taste for this kind of luxury experience,” Odell concluded. 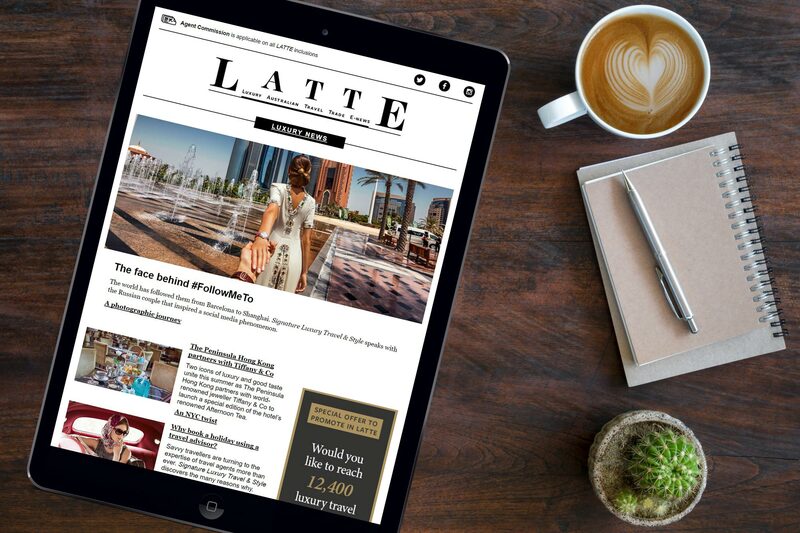 View exclusive images from aboard Seven Seas Mariner on LATTE‘s Facebook page: click here.